The first “under construction” pictures I have of this model are dated January, 2006, so it has been in progress for a very long time. Of course, there have been a number of other models completed since then, but still, even for me, this has been a long–term project. However, I finally decided to dig it out of its box, and get back to work. 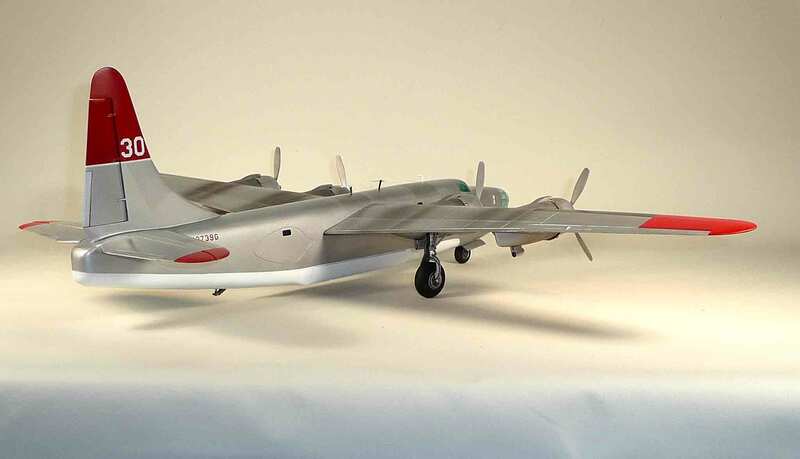 I had, many years before that, built a Navy PB4Y-2, but I also like firebombers, so it was a logical choice (logical for a modeler, that is) to tackle the post-war version. This particular aircraft interested me because it was one of the few (or maybe the only) PB4Y to have a complete B-24D nose grafted onto the Privateer airframe. This gave it a look that I thought was cool, so off we went. 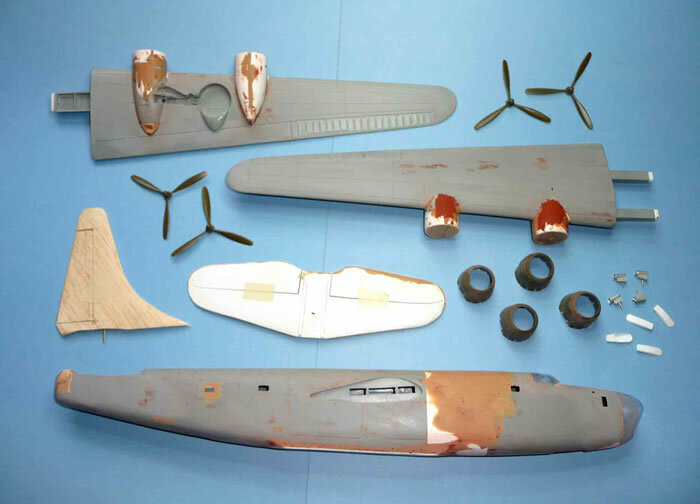 Basically, it involves three major tasks: lengthening and modifying the Monogram 1/48 scale B-24D fuselage, making new tail surfaces, and adding new nacelles and engines. 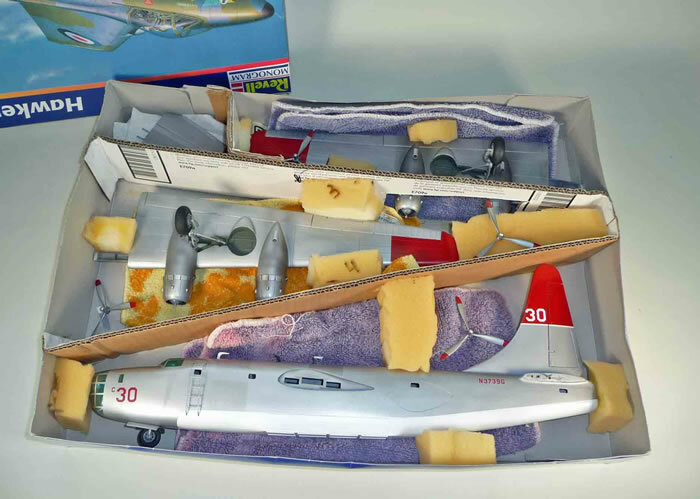 Step One was to lengthen the fuselage by cutting it apart and inserting molded 0.30 styrene sheet spacers. Several new windows were also cut at the appropriate places and scribing was done based on the photos I had of this bird. 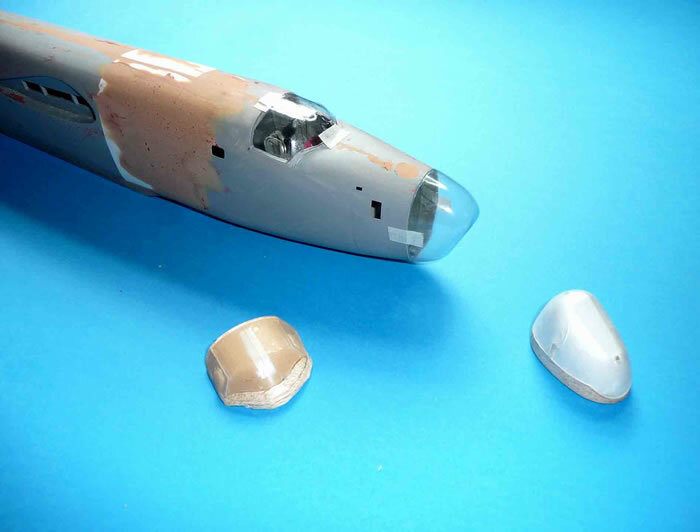 The water compartment was added to the bottom of the fuselage using a flat sheet of .040 styrene and lots of epoxy putty. 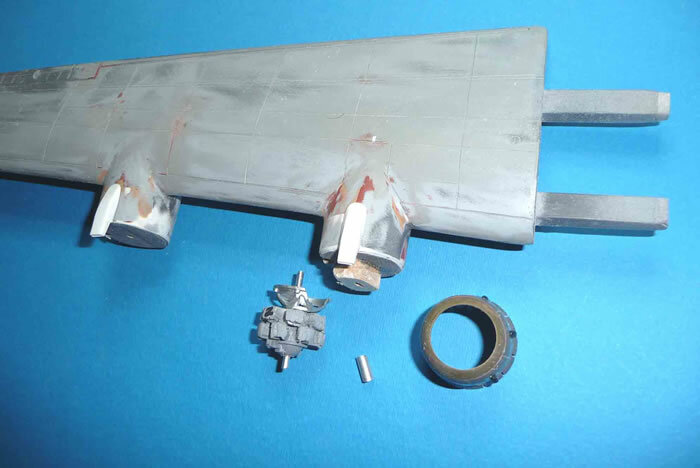 The water outlet doors were added from thinner sheet and various bits of sprue and other scrap-box details. Other details included modifying the windscreen to the much-simplified form seen in the photos and fairing over the tail gun turret area. The antennas and the access ladder on the port side were done with soldered brass wire. The outlines of then original large side turrets were scribed. 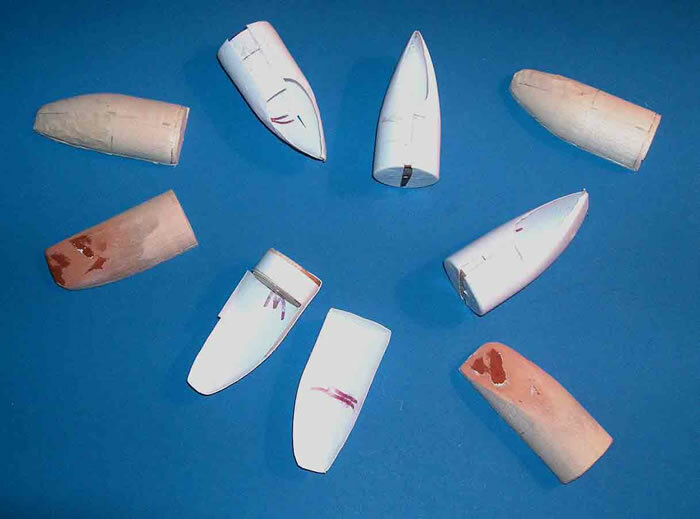 Attacking the wings, the original engine nacelles were removed, and wooden molds were carved for the new inner and outer nacelles. 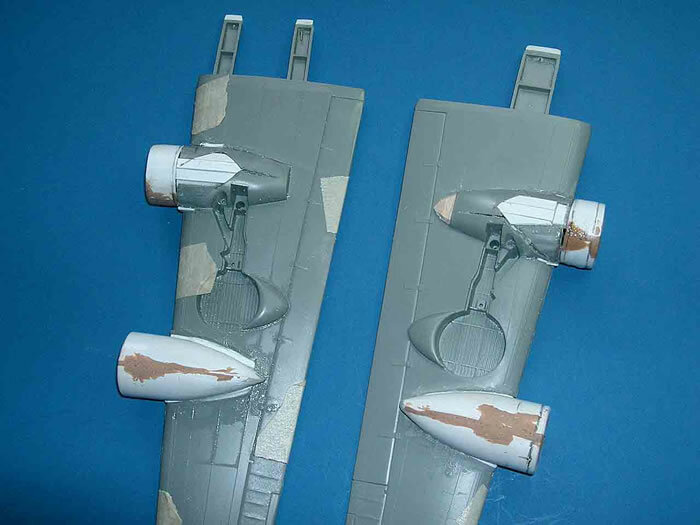 Two sets were then vacuum-formed and fitted to the wings. 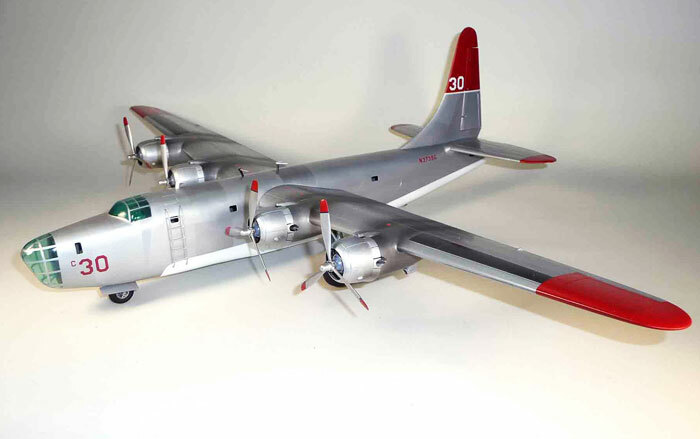 The engines, cowlings, and props were really rather easy; I just did it like the full-size folks; I got two B-25 kits, stole the engines and props and, except for the changes to the exhausts and adding detail to the engines, they were declared finished. 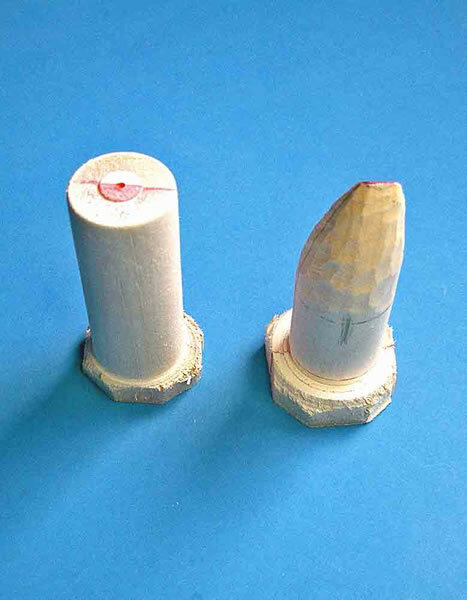 The new fin and stabilizers were carved from balsa which was then flooded with thin super glue. That was followed by a fair amount of sanding, filling, scribing, etc. The finish was primarily my usual overall Testor’s Flat Aluminum mixed about equally with Floquil Flat Finish. Assorted panels were then added with various silver paints after which the red and white areas were masked and sprayed. The red letters and numbers were added from some ancient Stoeppel sheets. 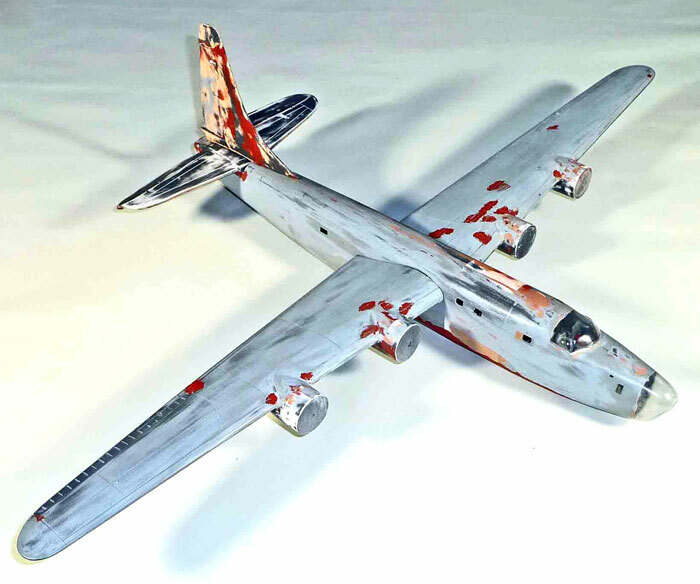 Anyway, it was an interesting, if very protracted, project which I think does capture the look of the aircraft.